Tuition rates are set by the Washington state legislature and are usually updated annually. This calculator is based on Tuition and Fees for Fall, Winter or Spring quarters. For Summer quarter, please refer to the “Tuition Rate Tables” below. Tuition rates listed do not include class fees, orientation, or any service fees. See a complete listing of rates and fees (PDF) or the Tuition Overview as required by RCW 28B.15. By registering for classes, you incur a legal obligation to pay tuition and fees and will be billed accordingly. This debt may be canceled only if you officially withdraw from the College before the quarterly deadline. Please make note of our tuition deadlines. You will NOT be dropped for non-payment. If you decide not to attend, it is your responsibility to drop classes on time to avoid tuition liabilities. Students enrolled at the Olympia campus will be charged a mandatory fee of $5.75 per credit. Fees collected fund the College Activities Building (CAB) redesign project. 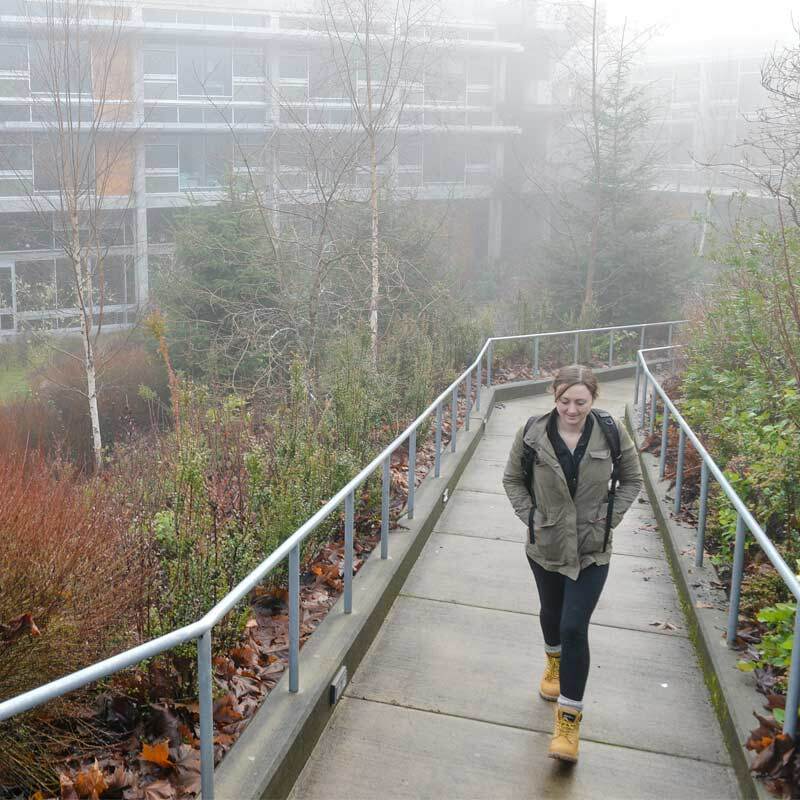 The Evergreen State College students voted to have a mandatory Clean Energy fee assessed of $1.00 per credit, each quarter, that would be used to offset the electricity that The Evergreen State College uses with the purchase of clean renewable energy. Find out more about the Clean Energy Committee. This fee supports the Health Center on campus and is not health insurance. It is a mandatory fee of $140.00 for students attending the Olympia campus that are registered for four (4) or more credits. The Health Center is closed during Summer; no Health Services Fees are charged during the Summer quarter. A mandatory fee of $5.00 per quarter (Fall, Winter and Spring only) will be charged to Olympia campus students. Fees collected will fund a late-night shuttle program to ensure that students have access to safe transportation after regular transit hours. This is a mandatory fee. All students registered at the Olympia campus will be charged $2.50 per credit up to a maximum of $30.00 per quarter. This program allows all students currently enrolled at the Olympia campus to ride Intercity Transit anywhere in Thurston County by showing their validated student ID card. The Washington Public Interest Research Group is a nonprofit, politically unaligned corporation directed to students. Evergreen students have voted to support this organization via automatic billing. An $8.00 charge is added on the student account each quarter along with tuition and fees. This fee can be waived by completing an Optional Fee Waiver Form (PDF) and returning the form to the Student Financial Services Office. The Geoduck Student Union fee supports the annual operations of the student union. This fee can be waived by completing an Optional Fee Waiver Form (PDF) and returning the form to the Student Financial Services Office. See Audit Policies for specifics. Employees must complete the Tuition and Fee Waiver form each quarter they are using their benefit. See the Human Resource Services website for more information. New matriculated (degree seeking) students enrolling at Evergreen for the first time are assessed a one-time fee which funds an enhanced student transition program designed to increase academic success. Students entering in the Fall quarter are charged $275.00, those entering in Winter or Spring quarter are charged $145.00. Washington State employees may apply for a tuition waiver under certain qualifying conditions. Download the state employee waiver form (PDF). A $50.00 late fee for registration additions and changes begins on the Monday of week two of each quarter. A $100.00 late fee for additions and changes begins on the Monday of week three of each quarter. Avoid late fees by registering before the end of the first week of the quarter! A fee of $50.00 will be charged if tuition is not paid by the 5th calendar day of the quarter. A second late fee of $75.00 will be charged on the 30th calendar day for unpaid tuition. Avoid late fees, pay tuition by the deadline! Avoid late tuition payment fees: pay your tuition on time. See the Academic Calendar At a Glance for future deadlines.